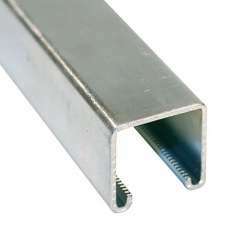 Suitable for securing Flue pipe with a 100mm Dimension.Pack contains:5 x 100mm Clips5 x 50mm Stud5 x.. 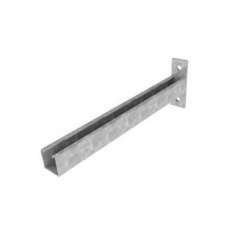 Suitable for securing Soil pipe with a 110mm Dimension.Pack contains:5 x 110mm Clips5 x 50mm Stud5 x.. Suitable for securing Flue pipe with a 125mm Dimension.Pack contains:5 x 125mm Clips5 x 50mm Stud5 x..
Unistrut Channel 's hot dipped galvanized finished channels, cable tray and cable ladder, in additio..
Cantilever Arms Type 87 300mmFor use with Unistrut system..
Cantilever Arms Type 87 600mmFor use with Unistrut system.. 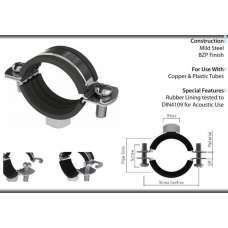 Lined Surefix Clip 107-113mm 4"
Lined Surefix Clip 107-113mm 4"For use with Unistrut system..
For suspension of pipes & tubing.Clamps are size for both rigid pipe and copper tubing Rubber ga.. 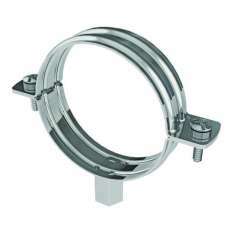 Lined Surefix Clip 137 - 142mmFor use with Unistrut system.. Lined Surefix Clip 15mmFor use with Unistrut system.. Lined Surefix Clip 22mmFor use with Unistrut system.. Lined Surefix Clip 28mmFor use with Unistrut system.. Lined Surefix Clip 35mmFor use with Unistrut system.. 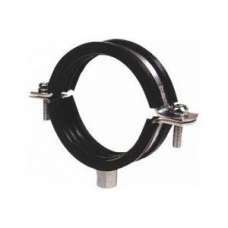 Lined Surefix Clip 42mmFor use with Unistrut system.. Lined Surefix Clip 54mmFor use with Unistrut system..